An interview-based theatre production exploring the diverse experiences of Muslim communities in the United States. Beyond Sacred is an interview-based theatre production exploring the diverse experiences of Muslim communities in the United States. The five cast members of Beyond Sacred vary in many ways, but share the common experience of coming of age in a post-9/11 New York City, at a time of increasing Islamophobia. They are young men and women that reflect a wide range of Muslim identities, including those who have converted to Islam, those who were raised Muslim, but have since left the faith, those who identify as “culturally” Muslim, and those who are observant on a daily basis. Beyond Sacred is part of Ping Chong + Company’s Undesirable Elements project, an oral history theater project exploring issues of culture, identity, and difference in the lives of individuals in specific communities. Beyond Sacred was developed through a community-engaged process wherein Ping Chong + Company extensively interviews local participants, who then become the performers. These interviews become the basis of a script that weaves together personal, historical, and political narratives. 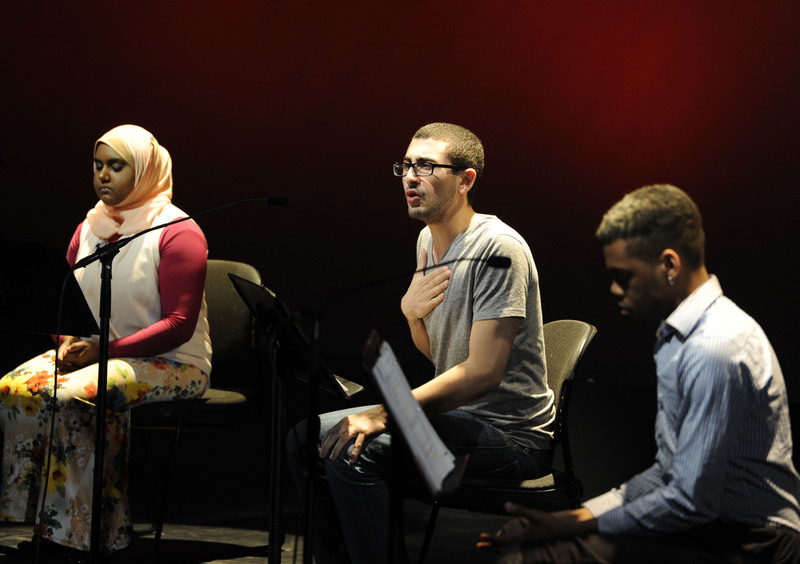 The goal of Beyond Sacred is to use theater and personal testimony to foster greater understanding among Muslim and non-Muslim communities in New York and beyond.